The small township of Levin, 95 kilometres north of Wellington, is not where one would expect to locate a New Zealand record company. But from 1957 through to the end of the 1960s a workaholic by the name of Wally Clark operated a recording studio and ran three record labels, issuing 40-odd releases. The main label was an acronym inspired by TANZA – TALA Records. Born in 1920, a native of Levin, Walter Lawrence Clark enlisted in the Royal New Zealand Air Force shortly after World War II broke out but in 1942 he was discharged due to medical reasons. He worked briefly in his father’s clothing business in Queen Street, Levin’s main drag, and soon commandeered a section of the store to sell model aircraft kits, one of his interests. His business enterprises expanded to his other passions, photography and music; he opened a photograph studio and, later, a radio and record store, also hiring out public address systems. Proficient on several instruments, throughout the war he played guitar in a five-piece dance band, The Swing Stars, Saturday night regulars at Levin’s Regent Ballroom. When he wasn’t playing he was at town events taking photographs or managing the PA, mixing the sound. With his distinctive white hair, he was inevitably nicknamed Snowy and was a familiar and well-known figure around town. After the war Wally Clark purchased a Presto-Cut disc cutter to press message discs, another business interest. In 1956, retaining The Sound Centre record and radio store next to his father’s clothing business, he purchased premises above the Shaw’s Building, establishing a photographic portrait studio and the beginnings of the Levin Record Studios, purchasing a Ferrograph tape recorder for that purpose. 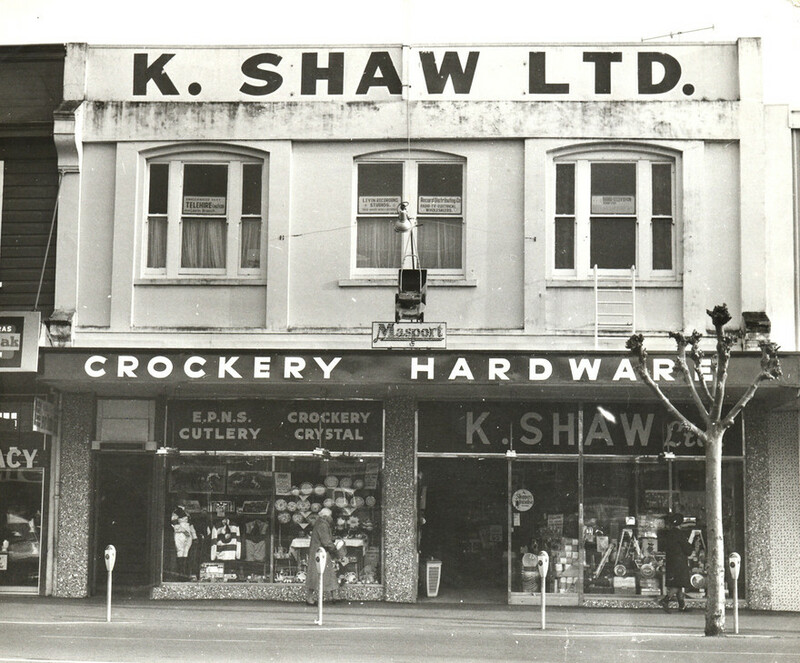 The premises of K. Shaw Ltd, photographed in 1971. Signage for Levin Recording Studios is visible in the top middle window. - Horowhenua Historical Society Inc. 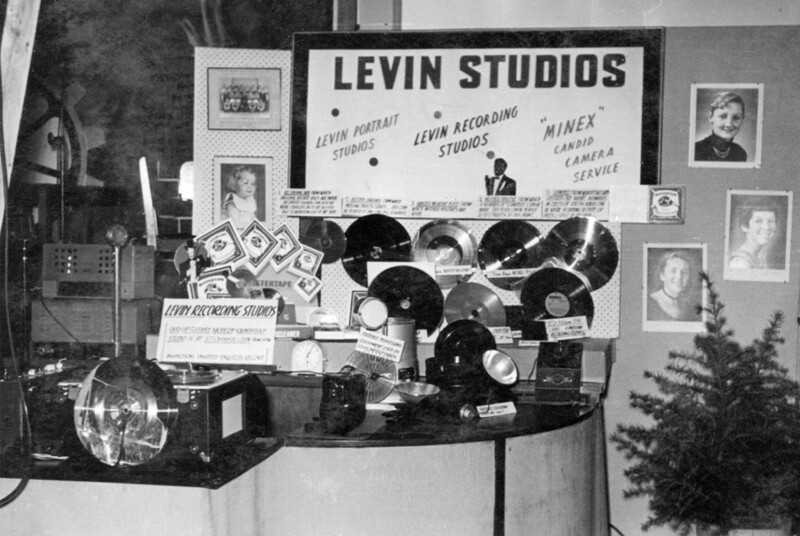 Initially, the Levin Record Studios recorded non-commercial items but by the end of the decade Wally Clark had established three record labels: Mark Records was the religious content label; Minex recorded productions by the local operatic society, the Levin Brass Band and the like; TALA was the popular music label. 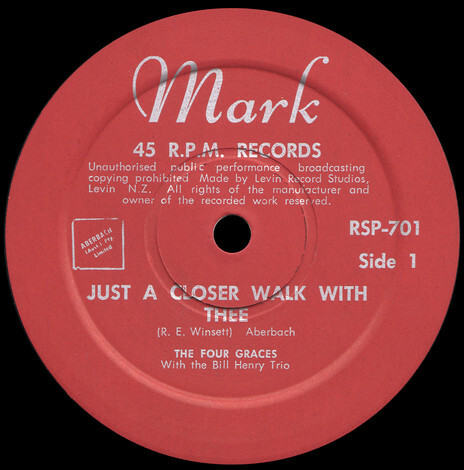 The Four Graces - Just A Closer Walk With Thee, 1957, Mark label. 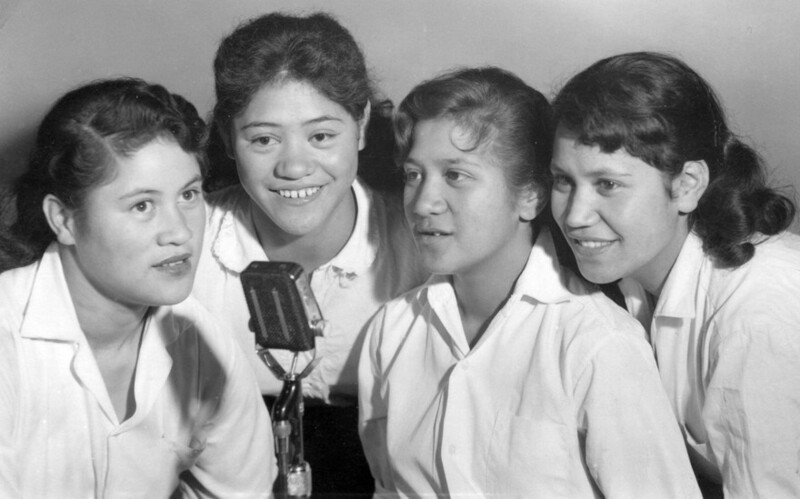 The first release was in 1957 on the Mark label: ‘Just A Closer Walk With Thee’ (RSP 701) by a local Māori vocal group, The Four Graces. 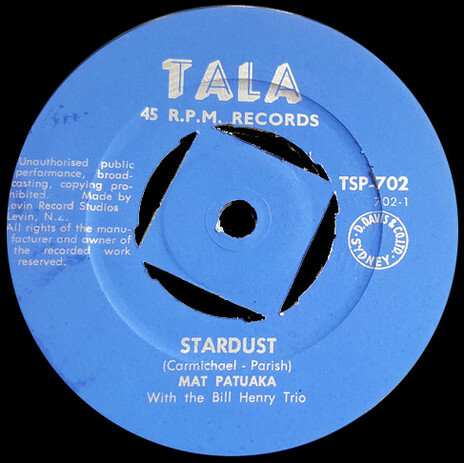 In October 1958 the second release and the first to appear on the TALA label was ‘Stardust’ b/w ‘Marta’ (TSP 702) by Matt Patuaka with the Bill Henry Trio. Vocal groups, in particular, proved popular during the labels’ formative years and there were LPs and EPs by The Four Graces and the Warren Sisters. Wally Clark designed the EP and album covers himself, printed locally, and the discs were pressed at the Green & Hall factory in Wellington and distributed by Record Distributing Co, another of Clark’s initiatives. 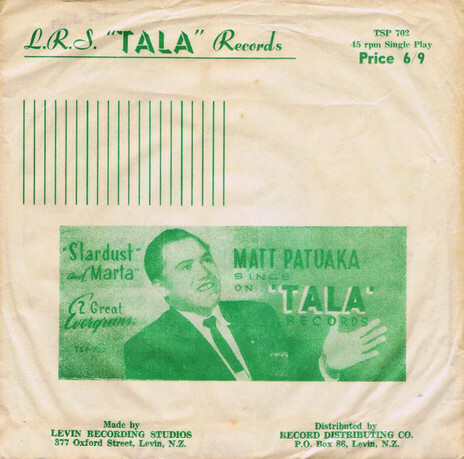 Matt Patuaka - sleeve to Stardust b/w Marta - TALA, 1960. Matt Patuaka - Stardust, TALA. Subscribing to Billboard magazine, Clark was quick to pick up on overseas trends. 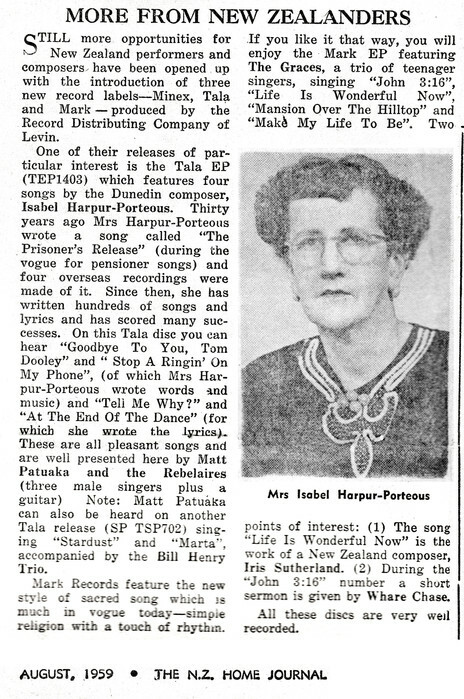 For example, the folk music boom by the likes of the Kingston Trio: Clark released an EP titled Goodbye To You Tom Dooley and credited to Matt Patuaka and the Rebelaires. He was also quick to appreciate the rise of surf music and instrumental rock’n’roll à la The Shadows. 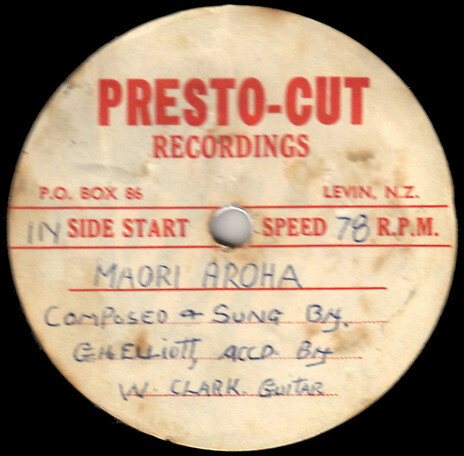 There were a number of instrumental releases, including Guitarists’ Holiday, a six-track EP by folk scholar Neil Colquhoun, and ‘Once In A While’ b/w ‘Tickle Me Pink’ by Warena Kerehi and Toa Matakatia; ‘Tickle Me Pink’ was a Wally Clark composition. 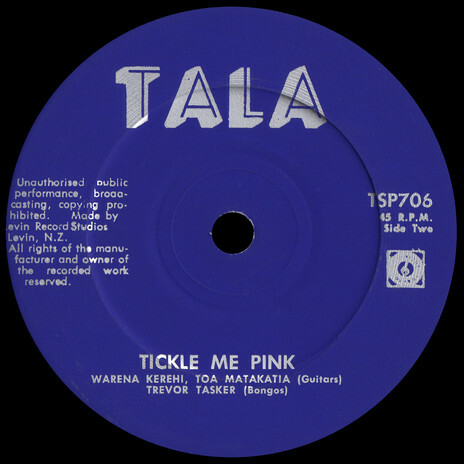 Tickle Me Pink, a Wally Clark composition recorded by Warena Kerehi and Toa Matakatia, TALA, 1961. In 1960 Clark came across a Titahi Bay group, the Tornados, inviting them to record a single at his studio. On 16 December 1960 they recorded two instrumentals, ‘Caravan’ and ‘Anna’; Wally’s 15-year-old son Garry Clark is listed as the recordist. Neither track was released but a second recording session yielded their sole TALA record, ‘Goofus’ b/w ‘Honky Tonk’, a moderate seller. 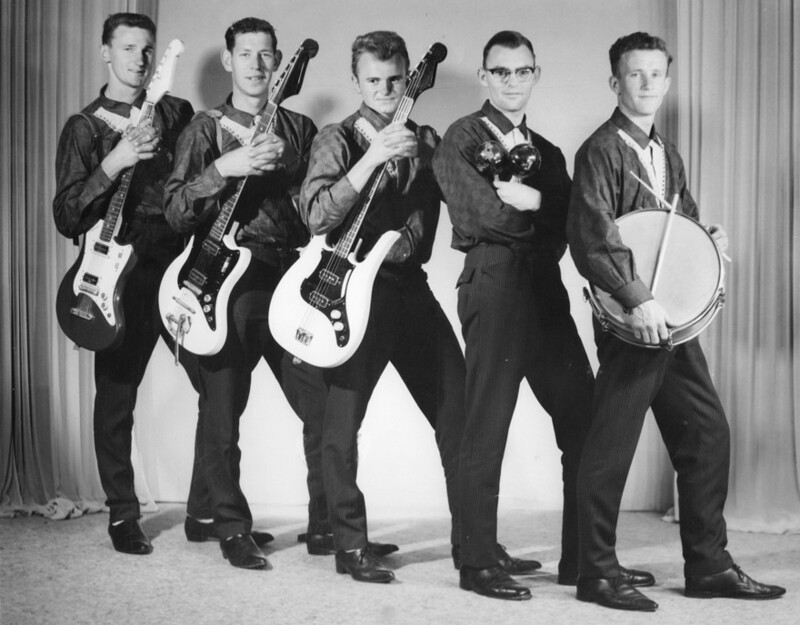 Clark failed to contract the band, who went on to some success with HMV and later crossed the Tasman to become Johnny Devlin’s backing band, The Devils. 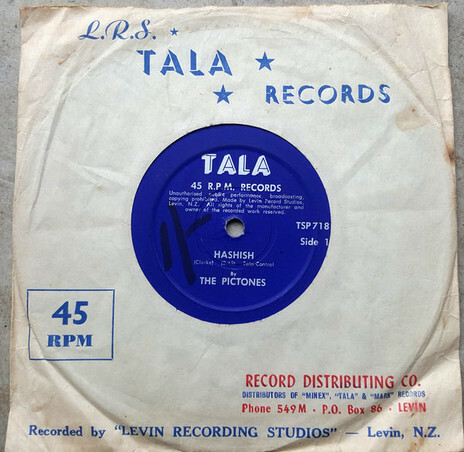 Having missed a commercial opportunity with the Tornados, Wally Clark took no chances with Palmerston North band The Pictones, signing them to a management contract. The band featured bassist Trevor Harrison, who was to become a stalwart of the Manawatu music scene right through to the 1980s, playing in outfits such as The Flares Showband, Soundproof and Milkshake. Pictones’ guitarist Dave Clarke was band leader, and an inspirational musician (Dave Hurley is just one notable guitarist to cite him as an influence). 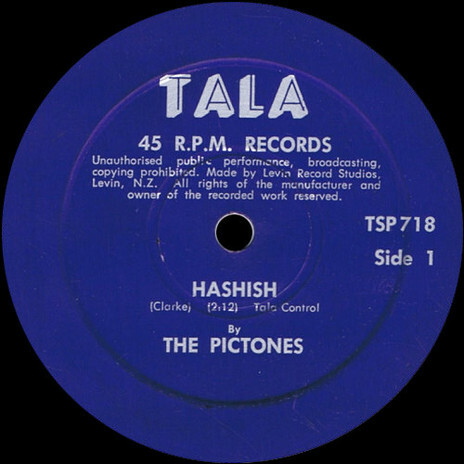 The Pictones - Hashish, TALA, 1961. The Pictones - Hashish, written by Dave Clarke, in its original sleeve. When the bossa nova craze emerged out of Brazil in the early 1960s, Wally Clark and TALA Records got the jump on other New Zealand record companies with releases by the Pictones (‘Zambesi Bossa Nova’ b/w ‘Anna Bossa Nova’), and Barbie Colquhoun – Neil’s wife – with the Djangos (‘One Note Samba’ b/w ‘Maria’). A curiosity the label released in this genre is ‘Boss Bossa Nova’ b/w ‘Bossa Rock’ by Bellino, on Tala TSP721: this was New York saxophonist Bill Ramal, whose real name was Bellino Ramaglia. Clark sent the Pictones on a North Island tour to promote the music and the accompanying dance, including a television appearance in Wellington to showcase the dance moves. There were fewer recordings after 1963 but, by then, TALA Records and the Levin Record Studios were only small parts of Wally Clark’s empire. The loss of Garry to the NZBC still left his wife Marjorie and their four other children working the family interests: the photograph studio and the record store. 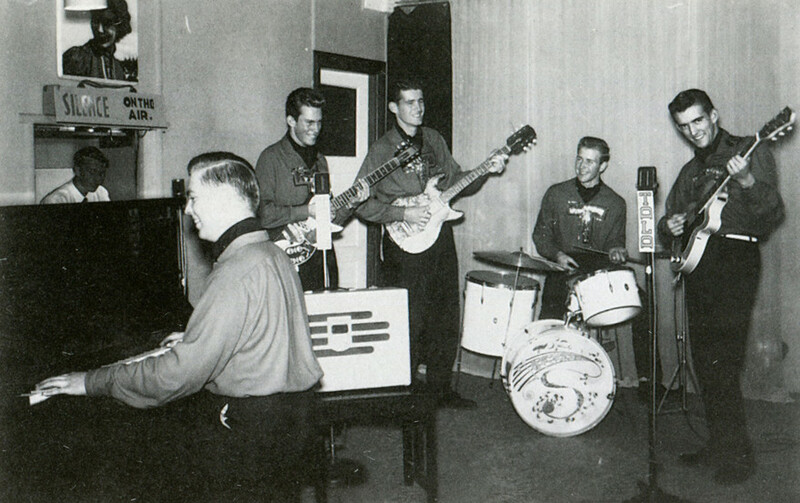 Following the advent of television, the Clarks even had a monopoly on hire televisions in town and the PA company was much in-demand with virtually every major concert that played Levin during the 1960s – the Howard Morrison Quartet, Ray Columbus and The Invaders – using Wally Clark’s PA company. As late as 1968, Wally Clark was still releasing records by one of TALA’s original acts, the Warren Sisters (with the Reflections) – ‘Never My Love’ b/w ‘Lace Coloured Windows’ – and although the recording studio would survive into the new decade, the last TALA release appears to also come from 1968. It’s a curious release too, indicative of a changing musical landscape. ‘Dream No 47’ b/w ‘The Sermon’ is credited to Harper & Brown, with both songs written by the duo. Harper was violinist/bassist Rob Harper, who just a few years later would play with Wellington proto-punks Bouldah; Brown was Wayne Roland Brown, with over a dozen albums to his name and a career as a successful Nashville-based songwriter. 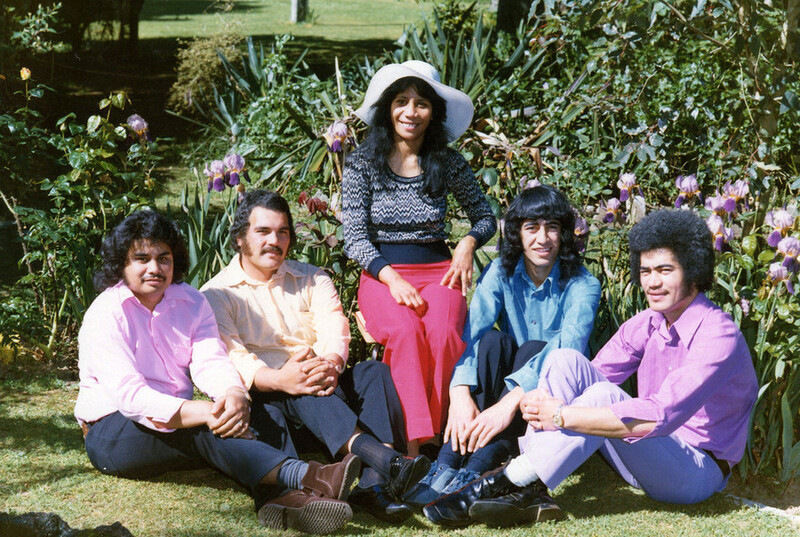 Another act in the TALA/Wally Clark orbit towards the end was Fraternity of Man, a very popular group that played the Horowhenua circuit in the mid-1970s. Possibly the most remarkable aspect of Wally Clark’s career is that he, or at least his family, did everything in-house, everything but press the records: the recording, cover artwork, distribution and promotion. Wally even booked the tours for his acts, but it came at a cost.